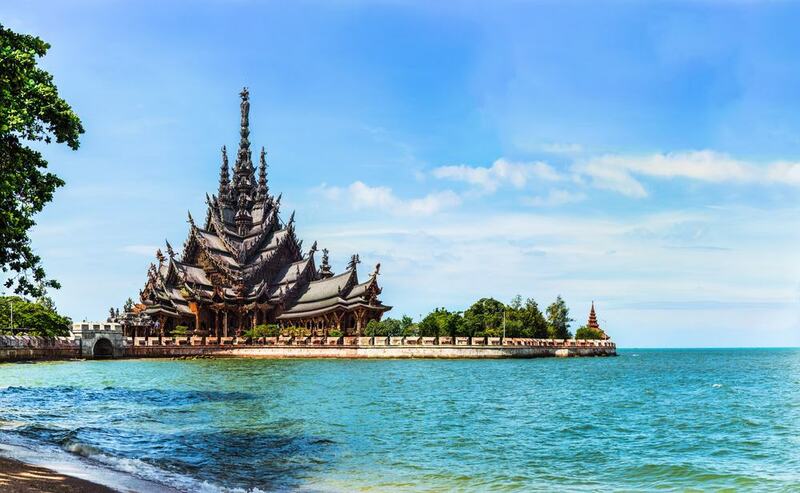 There are a staggering 40,717 Buddhist temples in Thailand and 33,902 of them are still in active use today. Thailand is a Buddhist country and the temples here play a very active part in everyday life. Thai’s come to them to pray to Buddha for things such as health or good fortune, they also come to make merit and speak with the monks. The structures themselves have become such magnets for tourists to visit, not just for their spiritual and social importance, but because they are among the most beautiful and impressive structures you are ever likely to see. Narrowing the list to just 25 was an almost impossible job, I have tried to pick a variety of locations as well as a range of architectural styles. 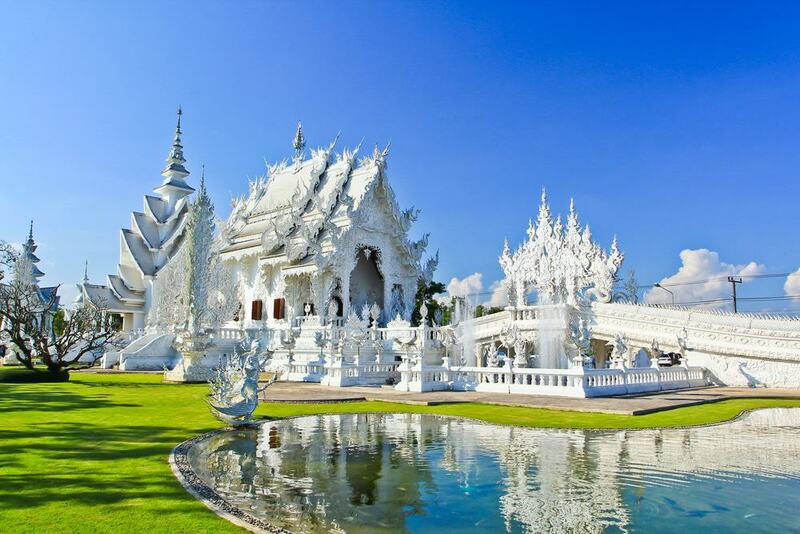 Sitting in the north of Thailand in Chiang Rai, Wat Rong Khun or ‘The White Temple’ is one of the most photographed and recognized temples in Thailand. The temple is white in color and has pieces of glass that have been put into the plaster to sparkle in the sun. The whiteness of the temple is a symbol of the purity of Buddha and the glass symbolizes his wisdom. A complete rebuild of the temple was started at the end of the 20th Century, with the works still going ahead today. When complete the temple will have nine separate buildings including accommodation for the working monks.